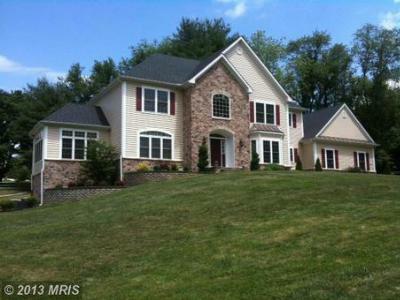 Stone Manor is one of the hottest areas for Luxury Homes for Sale in Sykesville MD. It is zoned in one of the highest ranking school districts, is close to shopping and restaurants and is close to both Baltimore and DC, with quick access to Rt 70 via Rt 32 and 695 and 95 via Liberty Rd. At $549,500, this 5 bedroom, 3 baths home (mls no. CR8154653) boasts a three car garage and a private backyard oasis that backs up to the woods. The quiet cul-de-sac will allow you to retreat from the hustle and bustle of the work day and welcome you to a host of amenities and the touches that make everyday special. Courtesy of Pinnacle Real Estate Co.